At half past eight, a gentle chime alerts you that a car has arrived to drive you to work. As an impending traffic notification updates the most efficient route from the ground to the sky, the car heads for the nearest public drone-port, where a quadcopter module docks into its roof and whisks it above the city streets. This scenario is closer than you might expect. Across the world, large and small cities are growing faster than ever, and the United Nations predicts that by 2030, 41 cities will be home to over 10 million inhabitants. Densely populated cities have historically been engines of ideas and change, but they are also facing acute issues of road congestion and deteriorating air quality, alongside lost economic productivity to traffic jams and pollution-related illness. In many cities, vast proportions of people commute by private car; in others, including New York City and Manila, the popularity of ride-sharing services further compounds car congestion. In London, the boom of e-commerce is a major cause of city gridlock, as unprecedented numbers of delivery vans shuttle packages to homes and offices in central locations. Cities including Madrid, Copenhagen and Chengdu are beginning to ban cars from their busiest areas, while world cities such as Tokyo and London have invested heavily in public transit to manage the flow – and environmental impact – of their growing populations. Yet with over two billion more people projected to live in cities in the coming decades, there is a rising need for new forms of public transit that can efficiently and cleanly transport millions of urban citizens (and deliver their online shopping). From self-driving buses to flying pods, this is how the commute of 2040 might look. Self-driving vehicles are likely to be a common sight on roads across the world by 2040, and they’re overwhelmingly likely to be electric. Several U.S. cities, as well as London, have already trialled electric, self-driving cars on public roads, with Tesla, Google, and numerous established auto makers vying to get the first autonomous car safely onto the streets. 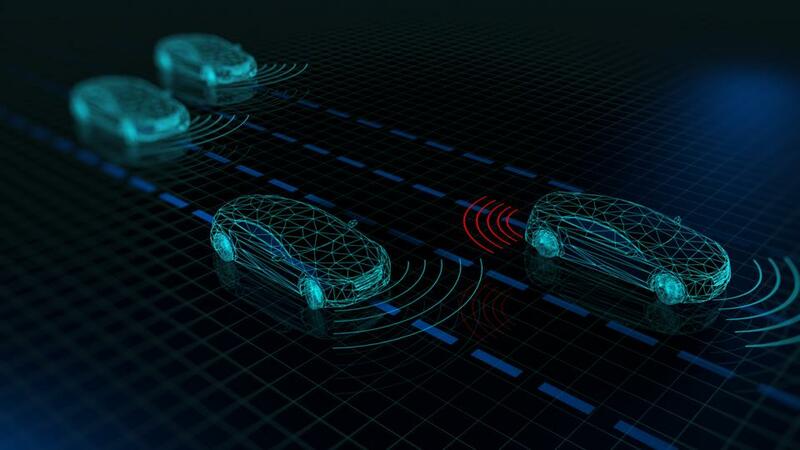 Self-driving cars would be equipped with fast internet, cameras, lasers, radar and other sensors to communicate with the roads and other smart cars. This arsenal of technology would build dynamic pictures of the surroundings, using the position of other cars rather than traffic lights to avoid collision. Robotic control also means self-driving cars could safely drive faster and closer together than they do now, reducing traffic and journey times. Morning rush hour traffic would thus be a quaint complaint of yore – self-driving cars would reroute around congestion and pick the most efficient route, defusing gridlock by spreading the flow of vehicles more evenly. City infrastructure such as parking spaces and data networks to keep track of autonomous vehicles would need to evolve to ensure self-driving cars don’t drive around without a passenger – and the result is likely to be a dramatic dip in car ownership. Ride-sharing apps have already begun to antiquate the idea of car ownership, especially in busy metropolises including China’s congested mega-cities, where parking is expensive and roads are crowded. In the gridlocked megalopolis of Sao Paolo, citizens are escaping congestion – and eschewing cars – with the on-demand helicopter service Voom. By 2040, access to self-driving taxis – whether through a rideshare app or from a fleet of shared public cars – could replace owning a car for the majority of urban dwellers. Uber plans to have its first autonomous fleet in Pittsburgh by 2020 while auto startup NuTonomy is aiming for its first self-driving taxis in Singapore by 2018, with fleets in 10 more cities in 2020. Those who did own a self-driving car might shuttle themselves to the office, then set the car to run some errands or earn some money by ferrying other riders around. Self-driving vehicles that can continually be in use have the added benefit of freeing up parking space, and even reducing the area of urban carparks needed, thus releasing these spaces – often in prime city centre locales – for happiness-inducing developments like parks and gardens. As for inter-city commutes, the Hyperloop rail could be commonplace in 2040, with passenger pods travelling in pneumatic tubes at up to 800mph – or from London to Manchester in 18 minutes. Several U.S. and U.K. cities are readying for Hyperloop trials in 2017, while the U.A.E and India also have projects underway. Imagine escaping a traffic jam by literally rising above it. Flying vehicles have been the stuff of science fiction for decades – but 2040 could be the era when people beat the nine am rush by airborne auto. Companies including Airbus, Google and Uber are currently exploring vehicles that are electric and can vertically take off and land (VTOLs) – in other words, city-friendly flying vehicles that would create an entirely new dimension of travel to bypass congested roads, while dropping off passengers exactly where needed. VTOLs might carry several passengers like Airbus’ CityAirbus, or be designed as affordable, one-seaters like the Vahana concept craft, or the Ehang 184 that will fly in Dubai this year. Along with swooping commuters above busy roads, VTOLs would also be ideal for delivering packages to city addresses by air, defusing the road congestion that today is increasingly caused by a glut of delivery lorries. Unused urban spaces would gain new life, as areas such as building roofs or parking lots became repurposed as landing pads. Current concepts for VTOLs work via multiple vertical thrust propellers configured around a central cabin, navigating by driverless technology which, as with driverless tech in cars, is likely to be safer than with a human pilot in charge. Today, an early form of the VTOL, the helicopter, is an alternative means of transport to the clogged roads of Sao Paolo and its underdeveloped public transit infrastructure. In the cities of 2040, VTOLs would be just one of several modes of transport in extensive and meticulously plotted urban networks, where passengers would take multi-modal journeys with seamless connections between road, rail, and sky travel. A modular car, like Airbus’s PopUp concept, illustrates how a future multi-modal commute could work – an autonomous pod would slot into a copter module for flight across congested areas, then dock at a convenient hub to latch onto a set of wheels and drive the remaining distance. Future commuters might think nothing of journeys where they head downtown in a self-driving bus, switch to an autonomous flying pod to soar over a traffic jam, before linking up to a carriage of other pods to shoot through the Hyperloop for a conference in the next city. Would we own our own autonomous flying vehicles? As alluring as the idea sounds, self-flying vehicles are most likely to be accessible through ridesharing services – Uber intends to launch a fleet of self-flying taxis by 2020, while Sao Paolo’s on-demand helicopter app Voom has plans to expand to other megacities. 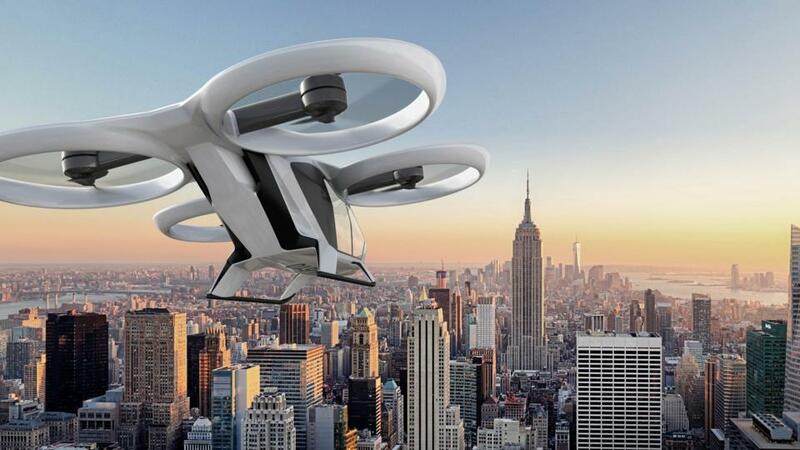 Hubs throughout the city, which might be public or privately owned, would allow future flying vehicles to charge, park, or of course, dock their propellers and take to the streets. For now, the airborne automobile has a long regulatory road to climb – a new type of safety certification must be set out before any can fly, and despite operating at the same altitude as helicopters, a more robust air traffic control system is needed to handle the complexity of dealing with thousands of on-demand VTOLs that fly themselves. The future of transport might involve exciting new ways to move around a city – but even more significant will be how future cities make use of immense amounts of data to reach that holy grail of public transport: on-demand rides. Tesla CEO Elon Musk predicts that inner city issues of congestion and pollution will ultimately be solved by self-driving public vehicles that can analyse real-time data to drop passengers off at their final destinations instead of predefined bus stops. After all, ride-sharing apps have acclimatised people to increasingly expect the freedom of transport that takes them exactly where they want to go. From civic authorities’ end, data that can accurately predict when and where people want to travel minimises time that vehicles are empty or near-empty, maximising efficiency – not to mention customer satisfaction. The seeds of this are already being sown in Singapore, where a crowdsourced shuttle bus service called Beeline allows people to book seats on routes created through analysis of transport data, including bookings through the app itself. Down the line, on-demand buses that drive (or fly) themselves could be the lynchpin of smooth, efficient transit. To further encourage public transport uptake, citizens will be able to book and pay for any mode of transport in a city’s network via a single app. 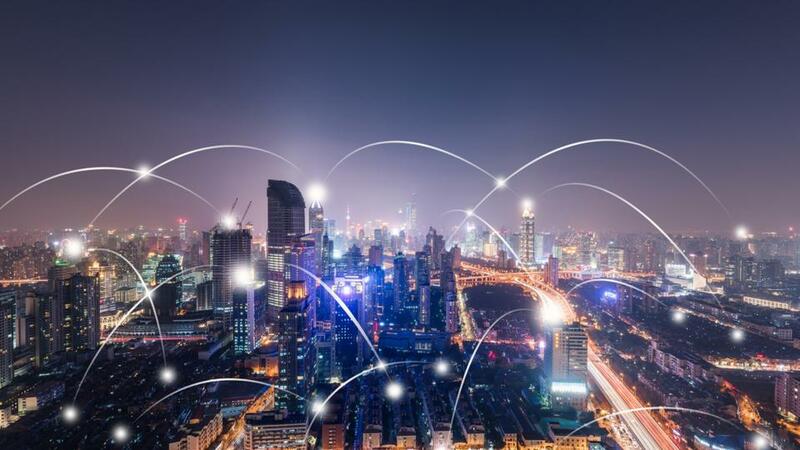 High-speed internet will be indispensable – with more satellites in orbit than ever – for handling the vast amounts of data necessary for tracking a city full of autonomous vehicles and determining the most efficient route for millions of passengers. 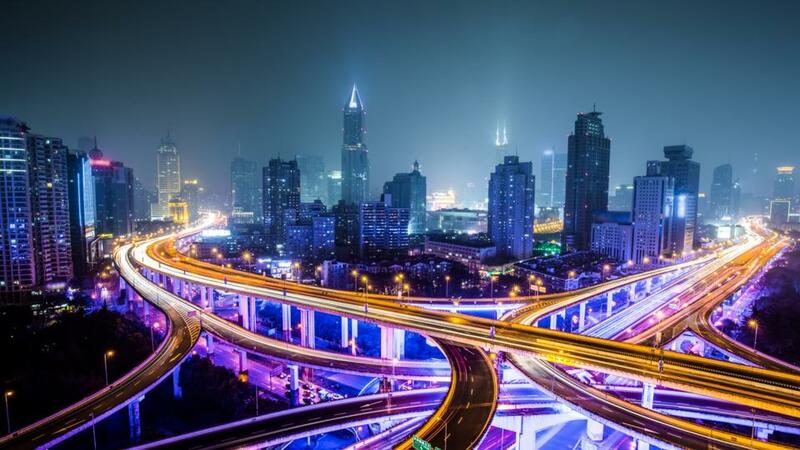 This constant stream of data between smartphones, vehicles and transport centres could also pave the way for a planet of smart cities that help maintain themselves. With cities and vehicles embedded with sensors and communication tech, smart vehicles will be able to report to civic authorities on the location of potholes, overflowing rubbish or damage to public spaces. Traffic lights can prioritise certain vehicles – the most eco-friendly electric car, perhaps, or higher-emissions delivery vehicles in order to get them out of crowded areas more quickly. By 2040, however a commuter rides to work, interminable waits at intersections will be a bygone irritation, as sensors detecting the flow of vehicles would ensure that the light is always green – at least until traffic lights become obsolete.